Hello. Thank you for taking the time to stop by. You may use the photos or book covers on this page. Please email me for high resolution photos and to ask questions. Non-fiction Bio J.Q. 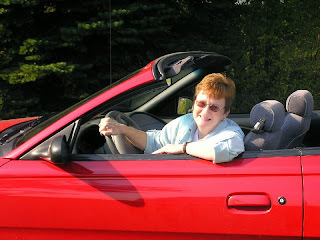 Rose, published author of mysteries and romance, enjoys offering tips and support to writers. She invites you to visit the Focused on Story blog at http://www.JQRose.com and discover inspiring and informative guest authors and information on writing, marketing, and publishing. Romance and Mystery Authors on Writing is a compilation of writing tips plus from fifteen talented authors. Quick Tips on Vegetable Gardening: Starting Your Garden, co-authored with her husband, Gardener Ted, was an amazon best-seller. Fiction Bio: 90 words Whether the story is fiction or non-fiction, J.Q. Rose is “focused on story.” She offers readers chills, giggles and quirky characters woven within the pages of her mystery novels. Her published mysteries are Deadly Undertaking, Terror on Sunshine Boulevard and Dangerous Sanctuary released by Books We Love Publishing. Blogging, photography, Pegs and Jokers board games, and travel are the things that keep her out of trouble. She spends winters in Florida and summers up north camping and hunting toads, frogs, and salamanders with her four grandsons and granddaughter. Bio: After writing feature articles in magazines, newspapers, and online magazines for over fifteen years, J.Q. Rose entered the world of fiction. Her published mysteries are Deadly Undertaking, Terror on Sunshine Boulevard and Dangerous Sanctuary released by Books We Love Publishing. With her non-fiction book for girls, Girls Succeed!, she returns to her first love, writing about real people. Blogging, photography, Pegs and Jokers board games, and travel are the things that keep her out of trouble. She spends winters in Florida and summers up north camping and hunting toads, frogs, and salamanders with her four grandsons and granddaughter. Bio: Whether the story is fiction or non-fiction, J.Q. Rose is “focused on story.” She offers readers chills, giggles and quirky characters woven within the pages of her mystery books. Her published mysteries are Deadly Undertaking, Terror on Sunshine Boulevard and Dangerous Sanctuary released by Books We Love Publishing. Using her storytelling skills, she provides entertainment and information in articles featured in books, magazines, newspapers, and online magazines. With her non-fiction book for girls, Girls Succeed! Stories Behind the Careers of Successful Women, she returned to her first love, writing about real people. J.Q. taught elementary school for several years and never lost the love for teaching passed down from her teacher grandmother and mother. She satisfies that aspect of her character by presenting workshops on Creative Writing and Writing Your Life Story. J.Q. features writing tips on the Focused on Story blog by spotlighting guest authors from diverse genres. Her non-fiction book, Romance and Mystery Authors on Writing is a compilation of the tips and advice from experienced authors. Quick Tips on Vegetable Gardening: Starting Your Garden, co-authored with her husband, Gardener Ted, was an amazon best-seller. When J.Q. isn’t writing, she enjoys photography, playing Pegs and Jokers board games, and traveling with her husband. They spend winters in Florida and summers up north camping and hunting toads, frogs, and salamanders with her four grandsons and granddaughter. 1. Fun fact. I like potato chips dipped in ketchup accompanied by a cold glass of chocolate milk. 2. Fun fact. I kicked up my heels as a hobo from Hooverville in the chorus line of the community players production of Annie. So much fun and a dream fulfilled. 3. Fun fact. I helped to build the ark. No, not THAT ark, silly. The ark is the centerpiece of the Ark Park, a playground for the community. 4. Fun fact. In my bio photo, the red Mustang convertible was a surprise birthday gift from my hubby in 1995. Still drives like it’s new. 5. Fun fact. My older brothers and I all played cornet/trumpet in the school band. They made sure to stand out on the front porch when I practiced at home so the neighbors could see they were not the ones tooting out those sour notes. 9: Piercings? None, not even my ears. 10: Diamonds or pearls? Diamonds. 15: Sports or couch? Are Corn Hole and Ladder Golf considered sports? If so, sports.